"Session Replay gave our support team valuable information that drastically improved their ability to resolve cases quickly and effectively." 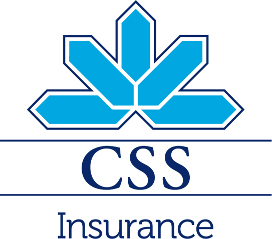 As one of Switzerland’s leading health insurance providers, one of the most frequently accessed items of content on the CSS Online portal is the Insurance Services terms and conditions manual, which is constantly being updated, and revised. Because of the various versions in existence at any given time, CSS must ensure all users are able to easily search for and obtain the most current and accurate information. With Session Replay, CSS provides direct access to all relevant information, and monitors the users experience to ensure they obtain the information quickly and easily. CSS can review any user session where there was a challenge in obtaining the accurate data, so they can quickly address any issues; whether in user experience or version control. Session Replay provides a solution for enhanced data authenticity, integrity and overall user experience. As a result, CSS can quickly provide users with access to relevant information as well as automate processes to improve user experience in a much shorter timescale. Customer services has been able to significantly improve service quality and dramatically reduce time to resolution. Session Replay established a system for the automated recording all online activity which substantially reduced our resourcing requirements and gave us an ROI in just 3 months. Session Replay is an integral component to the digital success of today’s forward-looking organizations. It provides: 360-degree capture, index, search and replay of all user sessions across every browser, device or interface. Simplified retrieval and playback in a movie-like environment. Light-weight storage of data at a fraction of any digital video files (.wav, .mpg, etc). Ease of deployment and update via cloud architecture with no disruption to application performance or processing speeds. Security for sensitive data (such as user names, financial information or any other secure fields). Successfully improve your user experiences, conversion rates, and overall customer and brand satisfaction through a holistic approach to Digital Experience Monitoring (DEM). This strategy eliminates silos between your business, development and operations; thus freeing up valuable time and resources- allowing you accelerate innovation, optimize performance and proactively anticipate how user behaviors impact your business. 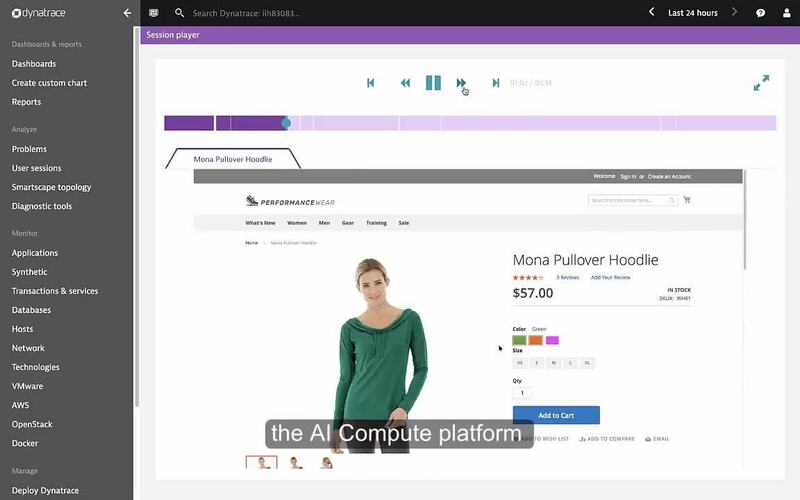 As the world’s most complete, powerful and agile digital performance platform for today’s enterprises, Dynatrace provides a fast-track to digital success.